During her illness, Julie had a vision to begin a program for Christian education for young girls. Julie began living a religious life on February 2, 1803, which is also known as the birthday of the Sisters of Notre Dame de Namur. Julie, the Foundress, and Françoise, the Co-Foundress of the Sisters of Notre Dame de Namur professed their final vows of poverty, chastity and obedience in 1805. Julie is noted for her perseverance and extreme versatility as she was forced to make several adaptations throughout the era of the French Revolution, where she found herself in hiding and forced to relocate on multiple occasions, more often with no belongings to start over. Julie Billiart died on April 8,1816. 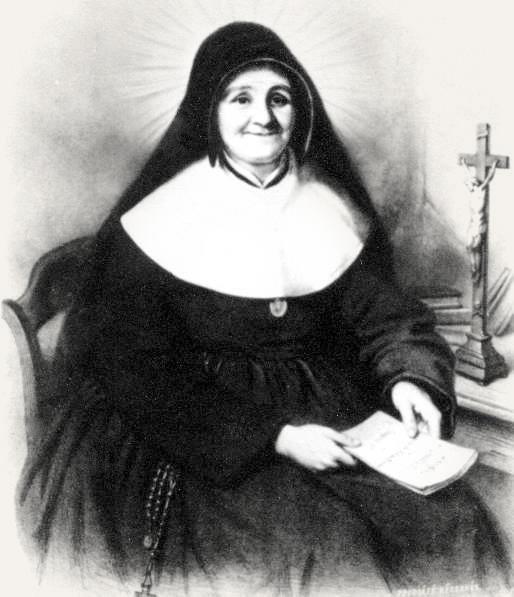 Co-Foundress and friend, Françoise Blin de Bourdon assumed the position of Mother General of the Sisters of Notre Dame de Namur at that time. Julie Billiart was canonized in 1969 and the work of her Congregation continues through the good work of our Sisters throughout the world. Named after the Sisters of Notre Dame de Namur founder, the St. Julie Billiart Heritage Giving Society recognizes our friends and supporters who have named the Sisters of Notre Dame de Namur Tri-Province Development Program in their Estate Plans. Please refer to our Planned Giving page for more information on estate planning. All St. Julie Billiart Heritage Giving Society members are named in the monthly Mass and Prayer Intentions and placed on the altar and in our Sisters prayers at Mass and throughout the day.